The taller you are, the easier life is. That’s why if most parents could help their kids grow a bit taller, they’d jump at the chance. Now, a new study by researchers at Washington University in St. Louis has an intriguing result that could get a lot of parents thinking. As much as many people want to be taller, however, the more severe challenge is for children whose growth is stunted–especially in developing nations, where poor nutrition and hygiene cause an estimated 145 million children under age five to have stunted growth. So, researchers began studying whether efficient nutritional strategies could help reduce the number of children suffering from stunted growth. They theorized that getting very young children to eat eggs might have an impact. It turns out, they were right. Between March and December 2015, researchers embarked on a campaign in Cotopaxi Province, Ecuador to get the mothers of 83 infants (aged just six to nine months) to supplement their diet with one egg per day. 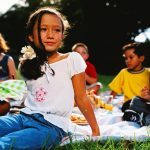 The results: Children who were on the egg diet experienced “reduced prevalence of stunting by 47 percent,” compared to a similarly sized control group. 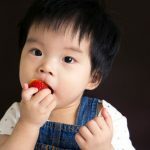 The study, entitled, “Eggs in Complementary Feeding and Growth,” was published in the June 6 edition of the journal Pediatrics. The biggest impact on any child’s ultimate health comes from his or her genetics, although there are additional factors, including nutrition. 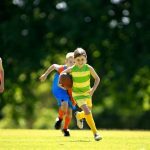 Other studies have found a direct correlation between the number of calories that people eat during childhood and their ultimate height, and also that exercise during youth can lead to greater height as an adult. Still, studies like these provide a tantalizing glimpse. 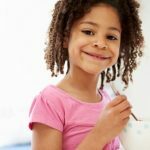 Given the difficulty in studying children’s eating habits over a longer period of time (and associating those habits with their ultimate height), this might be about as close as we’re going to get to being able to track exactly what kind of diet impacts height. Even if nobody is suggesting that a change in diet like this could turn a boy who was otherwise destined to be five-foot-five-inches into an NBA player, or turn a five-foot-two-inch woman into a six foot supermodel, the truth is that even a small difference in height could have an outsized impact on success and happiness.